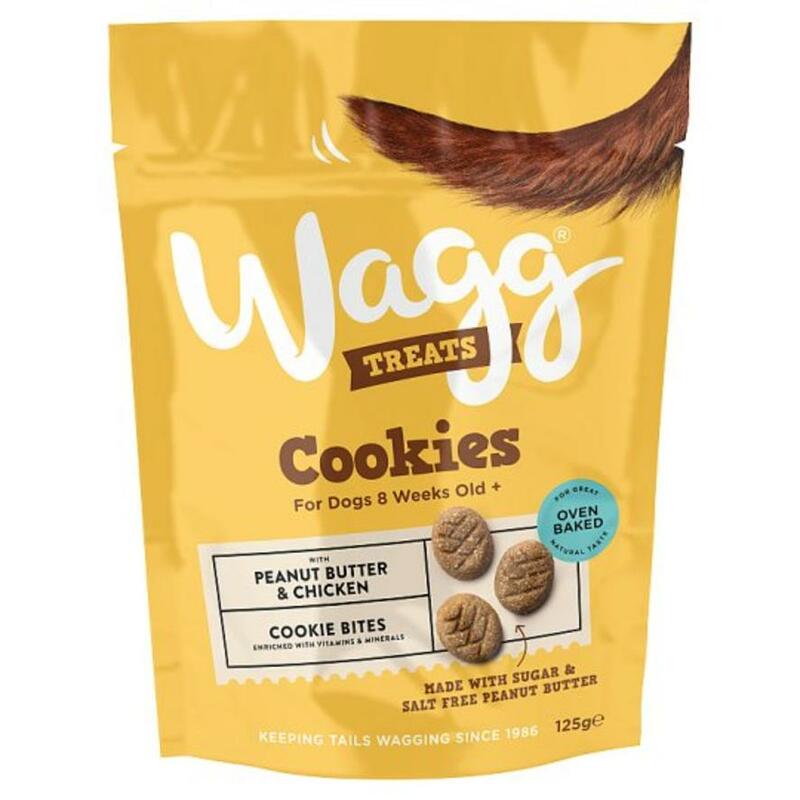 Delicious cookie bite treats for dogs, Wagg Cookies are formulated with premium quality ingredients in this irresistible oven baked, palm-oil free recipe, ideal for training, rewards for good behaviour or daily treating for your favourite canine friend. Packed with flavour and a crunchy cookie texture, Wagg Cookies are enriched with vitamins and minerals, designed to complement your dog’s complete and balanced diet. They’re made with real peanut butter, sugar and salt free, for a healthy and nutritious snack dogs love. They’re new to the Wagg treat range, perfect for all dogs over 8 weeks of age. Compostition: Wheat, Chicken Meal (19.5%), Glycerine, Chicken Fat, Peanut Butter (4%), Minerals, Gelatine, Whey Powder. To find out more about Wagg and their products, click here! We are all pet lovers and owners ourselves, and with over 10 years of experience within the pet trade and hundreds of our products being tested by our chief pet testers, Bella the Chocolate Labrador and Ash the Russian Blue, you’re bound to have a happy pet at home when you purchase any products from Purely Pet Supplies. Copyright © 2017 Purely Pet Supplies.